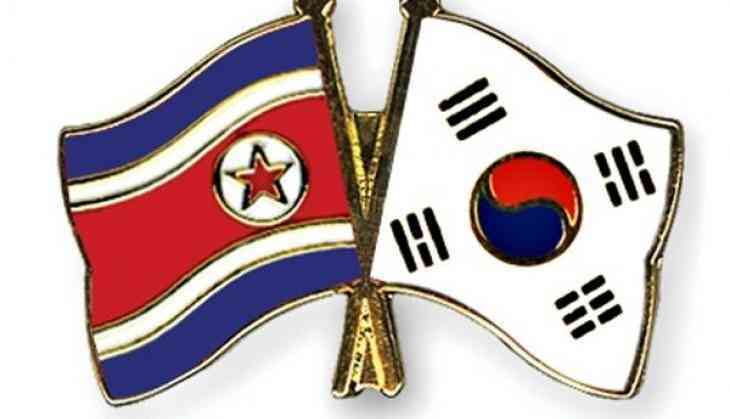 South Korea on Monday asked North Korea to accelerate their denuclearisation process, while asking the United States to faithfully carry out its promises on the same. Asked about a possible breakthrough in the denuclearisation talks between North Korea and the US, Yonhap News Agency quoted Cheong Wa Dae (South Korean presidential office) spokesperson Kim Eui-kyeom saying, "We are asking North Korea to speed up its denuclearization process. And to the U.S., we are asking that it to show sincere efforts about corresponding measures that North Korea is demanding." Last month, South Korean President Moon Jae-in, who was on a state visit to Singapore urged collective efforts to accelerate North Korea's denuclearisation exercise. "If North Korea comes up with a more detailed plan for its denuclearisation while South Korea and the U.S. swiftly take corresponding measures, the speed (of denuclearisation) will further increase," Moon said this at a special lecture in Singapore. On April 27, Moon and North Korean leader Kim Jong-un met at the inter-Korean summit at Panmunjom in the Demilitarised Zone (DMZ), which separates the two Koreas. The two leaders signed the Panmunjom Declaration, pledging for ceasing hostilities against each other and advocating complete denuclearisation in the Korean Peninsula. Asked about a possible meeting between Kim and Moon, Kim Eui-kyeom said there were no discussions on the same as of now. US Secretary of State Mike Pompeo, who visited North Korea for denuclearisation talks last month, had invited furore from Pyongyang, which later expressed its disappointment over the "gangster-like" attitude and demand of US officials on denuclearisation, calling it "regrettable and really disappointing." Despite Kim vowing to give up developing nuclear weapons and ballistic missiles, a confidential report by the United Nations revealed that the country was reportedly continuing to pursue its nuclear weapons programme. Last week, a US official also stated that North Korea was reportedly constructing new intercontinental ballistic missiles (ICBMs) and its missile programme was doing "business as usual."